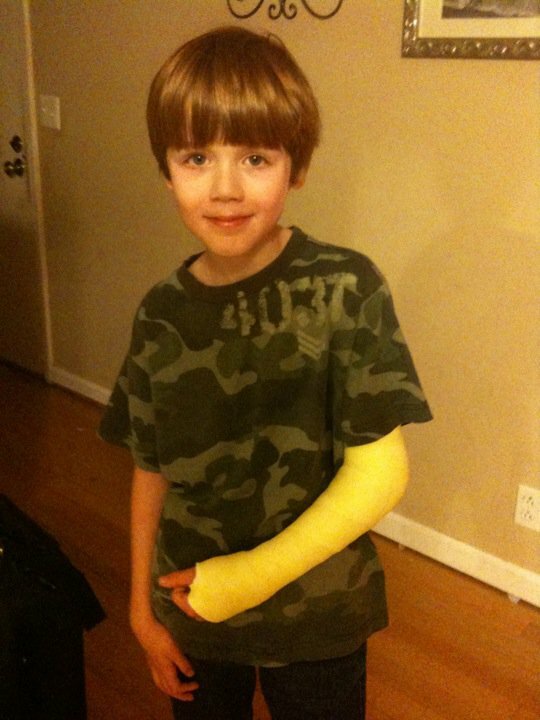 My son is now the owner of bright yellow cast for the next six weeks, after taking a fall and breaking his elbow. He has been such a troop today during the whole process! Just wanted him to know how proud of him I am. We spent the majority of the day in doctor's offices which is in no way what I would call fun times, but he really was a good sport. Now finally everyone is home, and I am exhausted and calling it a night =)....sweet dreams!!! He does look like he is being a good boy about the whole ordeal. I hope he heals fast and gets out of the cast soon. Hopefully someone can draw some cool pictures for him on it. Take care. Blue Moon Movie Review "Stranger Than Fiction"